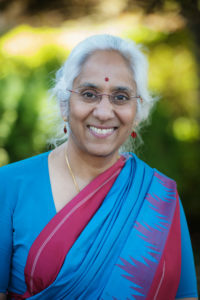 Saraswathi Vedam is a midwifery professor in the Faculty of Medicine, and Lead Investigator of the Birth Place Lab, at University of British Columbia. She has been a clinician and a health professional educator for 30 years. Her scholarly work includes the national, CIHR-funded Canadian Birth Place Study examining attitudes to place of birth among maternity care providers; and Changing Childbirth in BC, a provincial, community-based participatory study of women’s preferences for maternity care. She has developed clinical screening and quality measures including, MAPi, the Movement and Pulse index for assessment of fetal well-being, the Mothers’s Autonomy in Decision Making (MADM) scale and the MOR (Mothers on Respect) index. Currently, she is leading multi-disciplinary teams in the US Birth Place Mapping Study to describe the status of licensure and integration of midwives in the United States; and the Giving Voice to Mothers Study to explore the unique experiences of families from communities of color, and families who plan home births, across the United States. Jamarah Amani is a Community Midwife who believes in the power of birth and that every baby has a human right to be breastfed/chestfed. Her mission is to do her part to build a movement for Birth Justice locally, nationally and globally. A community organizer from the age of sixteen, Jamarah has worked with several organizations across the United States and in Africa on various public health issues, including HIV prevention, infant mortality risk reduction, access to emergency contraception and access to midwifery care. She is director of Southern Birth Justice Network, a 501(c)3 non-profit organization working to expand Birth Justice, including demanding dignity for young parents and ending shackling of incarcerated people who labor and birth in chains. Dr. Abigail Aiyepola has Doctorate of Naturopathic Medicine, a Certificate of Midwifery and is a doctoral candidate in Applied Medical Anthropology at Oregon State University. She is a rising star with extensive experience in clinical practice, higher education, national board service, leadership and advocacy. 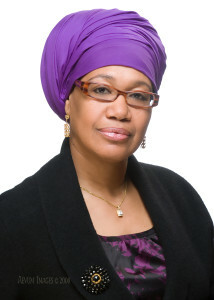 She is the President of The National Association to Advance Black Birth (NAABB), formerly ICTC, and the proud owner of Omolayo,™ a virtual platform dedicated to educating and empowering women about their bodies and health. Ginger Breedlove is known and respected by many for her work in advancing women’s reproductive health and nurse-midwifery in both Kansas and Missouri. Some highlights of her career include: 1979, co-founding the Birth and Women’s Center in Topeka, the first freestanding birth center in Kansas; 1994, establishing the first hospital-based certified nurse-midwifery (CNM) service in the Greater Kansas City area at St. Luke’s Hospital; 1998, joining the University of Kansas School of Nursing in establishing the Kansas Collaborative Bi-state Nurse-Midwifery Education Program, to prepare the next generation of nurse midwives; and 2001, completing her PhD in nursing and publishing the book, co-authored with Rachel Abramson, The Community-Based Doula: Supporting Families Before, During, and After Childbirth. Ginger has served in numerous ACNM leadership roles, including 6 years as Secretary of the ACNM Board of Directors. Micaela Lara Cadena is a chicana New Mexican from a family/chosen family of resilient mujeres in the Mesilla Valley. Micaela is the Research Director at Young Women United (YWU), an organization that leads policy change, research, place-based organizing, and culture shift by and for women and people of color in New Mexico. For many years, Micaela has worked to improve access to pregnancy related care that New Mexicans may need over their lives, including perinatal care for pregnant people in cycles of substance use and addiction and midwifery care as a respectful model that can positively impact disparities in health outcomes within our communities. Previously, Micaela worked at the New Mexico Corrections Department as the Bureau Chief of Recidivism Reduction. With the intention of better identifying and serving the risks and needs of women and people in NMCD custody, Micaela worked to build feasible strategies for making the New Mexico prison system gender-responsive, trauma-informed and evidenced-based. Micaela was also responsible for implementing a state law passed in 2015, Medicaid for Incarcerated Individuals, that mandated the Corrections Department to determine Medicaid eligibility of inmates prior to their release from prison. In 2018, Micaela was elected to serve as a State Representative (District 33) in the New Mexico House of Representatives. Melissa Cheyney PhD CPM LDM is Associate Professor of Clinical Medical Anthropology at Oregon State University (OSU) with appointments in Public Health and Women Gender and Sexuality Studies. She is also a Licensed Midwife in active, community practice, and the Chair of the Division of Research for the Midwives Alliance of North America. 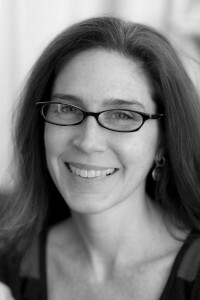 She is the author of an ethnography entitled Born at Home (2010, Wadsworth Press), co-author and editor of the cross-cultural ethnography Birth in Eight Cultures (Waveland, 2019), and the author of more than 50 peer-reviewed articles that examine the cultural beliefs and clinical outcomes associated with midwife-led birth at home and in birth centers in the United States. In 2014, Dr. Cheyney was selected for Oregon State University’s prestigious Scholarship Impact Award for the prolific and highly relevant research outputs of her International Reproductive Health Laboratory and with the MANA Statistics Project. Her research projects span topics from reproductive biology to cultural anthropology, epidemiology and clinical outcomes associated with patient experience, health equity, interprofessional relationships, and place of birth. She is currently the PI on more than a dozen research projects, including an NIH-funded study examining the outcomes of care for culturally and socially matched doulas serving Medicaid priority populations in Oregon. 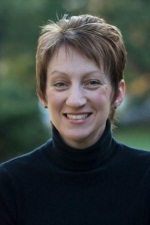 Because of her broad expertise in both quantitative and qualitative methodology, reputation for rigor, and understanding of complex, intersectional analyses, Dr. Cheyney has been invited to serve as an expert with numerous interdisciplinary research institutes including the ACOG ReVitalize Task Force, the Home Birth Summit Research and Data Task Force, the Oregon Health Evidence Review Commission, the International Quality Maternal and Newborn Care Research Alliance, and the National Academies of Medicine Committee on Birth Setting. She is also the Vice-Chair of Oregon State University’s (OSU) Human Subjects Research Institutional Review Board and the Graduate Program Director for OSU’s Applied Anthropology Program. Dr. Cheyney’s innovative policy on children in the classroom as a method for improving student parent degree completion rates was recently highlighted on NBC nightly news. She is a beloved and award-winning teacher, a highly sought mentor and doctoral advisor, and is known for her intentional approach to creating a culturally safe environment for her research team and mentees. Dr. Cheyney is the mother of a daughter born at home on International Day of the Midwife in 2009, and a tireless advocate for all pregnant people’s rights to choose where and with whom they give birth. Dr Crear-Perry, Joia, MD, FACOG is the Founder and President of the National Birth Equity Collaborative. Recently, she addressed the United Nations Office of the High Commissioner for Human Rights to urge a human rights framework to improve maternal mortality. Previously, she served as the Executive Director of the Birthing Project, Director of Women’s and Children’s Services at Jefferson Community Healthcare Center and as the Director of Clinical Services for the City of New Orleans Health Department where she was responsible for four facilities that provided health care for the homeless, pediatric, WIC, and gynecologic services within the New Orleans clinical service area. Dr. Crear-Perry continues to work to improve access and availability of affordable health care to New Orleans’ citizens post the Hurricane Katrina disaster of 2005. After receiving her bachelor’s trainings at Princeton University and Xavier University, Dr. Crear-Perry completed her medical degree at Louisiana State University and her residency in Obstetrics and Gynecology at Tulane University’s School of Medicine. She was also recognized as a Fellow of the American College of Obstetrics and Gynecology. A proud recipient of the Congressional Black Caucus Healthcare Hero’s award and the Maternal Health Task Force at Harvard University Global Visionary Award for Commitment to Advancing Women’s Health, Dr. Crear-Perry currently serves on the Advisory Committee of the Black Mamas Matter Alliance, Principal at Health Equity Cypher and on the Board of Trustees for Community Catalyst, National Medical Association, and the New Orleans African American Museum. She is married to Dr. Andre Perry and has three children: Jade 25, Carlos 22, and Robeson 7. Her love is her family; health equity is her passion; maternal and child health are her callings. James J. Cummings is Clinical Professor of Pediatrics and Bioethics at Albany Medical Center in New York State. Prior to moving to Albany in 2012, Dr. Cummings served as Section Head of Neonatology and Director for the Neonatal-Perinatal Medicine Fellowship Program at East Carolina University in Greenville, North Carolina for more than 15 years. Dr. Cummings is a member of the American Academy of Pediatrics (AAP), the American Pediatric Society, the Society for Pediatric Research, the American Thoracic Society, and the AAP Section on Neonatal-Perinatal Medicine. He has served in the Organization for Neonatal-Perinatal Medicine Training Program Directors, and on the AAP Committee on Fetus and Newborn (COFN); in 2017 he was appointed to chair of COFN. Dr. Cummings has lectured and published widely in the field of pulmonary biology; he has published more than 90 peer-reviewed original articles and 9 book chapters. He reviews for numerous academic research journals, and currently sits on the editorial board for Pediatrics, the flagship journal for the AAP. Dr. Cummings is the recipient of several national research grants, including awards from the American Lung and American Heart Associations; he has also served as a site principal investigator on research projects funded by the NICHD, the NHLBI, and the NINDS. His current research interests include the prevention of chronic lung disease, outcomes-based research, resource utilization, and clinical ethics. Dr. Cummings has served as an academic and research mentor for more than 30 medical students, pediatric and obstetrical residents, and neonatal-perinatal fellows. After receiving his medical degree from the State University of New York Upstate Medical Center, Syracuse, Dr. Cummings remained there to complete a residency in pediatrics and a fellowship in Neonatal-Perinatal Medicine. He then received a NHLBI training grant to complete a Postdoctoral Research Fellowship at the Cardiovascular Research Institute at the University of California – San Francisco. He is board certified in Pediatrics and in Neonatal-Perinatal Medicine. In 2016 he earned a Master of Science in bioethics at the Alden March Institute in Albany, NY where he currently teaches pediatric ethics. Timothy J. Fisher MD MS is an Obstetrician/Gynecologist and the Ob/Gyn Residency Program Director at Dartmouth Hitchcock Medical Center in Lebanon, NH, the Medical Director of the Northern New England Perinatal Quality Improvement Network (NNEPQIN), and Assistant Professor of Obstetrics and Gynecology at the Geisel School of Medicine at Dartmouth. He is a graduate of The Geisel School of Medicine at Dartmouth, completed his residency training at the Naval Medical Center in San Diego, California and received a Master’s Degree in Health Care Delivery Science from Dartmouth College. Dr. Fisher’s academic interests include access to high quality maternity care in rural settings, collaborative practice models between midwives and physicians, and support of physiologic birth as a means of improving maternal and perinatal outcomes. He is currently participating in a project sponsored by the Robert Wood Johnson Foundation Interdisciplinary Research Leaders program to study rural labor and delivery unit closures in New Hampshire. Dr. Fisher has served as a delegate to each of the three prior Home Birth Summit meetings. Jessica Frechette-Gutfreund LM, CPM, MSM, IBCLC is a white, gender non-conforming midwife born and raised in Cincinnati OH. She has over 20 years of experience working around issues of social and reproductive justice as an anti-oppression organizer, health researcher, Spanish language interpreter, educator, and midwife. She has been involved with midwifery in New Mexico since her entrance into the profession through apprenticeship in 2009. She has received training from both modern and traditional midwives and continues to integrate both practices into the services she provides. She is midwife and director of Breath of My Heart Birthplace where she works with an amazing team of providers and clients to provides low-cost and free midwifery services to women and families in the setting where they feel most comfortable. She is an IBCLC and has Master’s in Midwifery from the National College of Midwifery. Jessica continues to weave her experience in anti-oppression organizing into every role that she finds herself in. Jasmina is the Research Coordinator for the Birth Place Lab. She has a Master of Science in Population and Public Health from UBC, and brings nine years of experience in research project management and analytical support roles. In her previous role as the Research and Knowledge Translation Network Coordinator for Arthritis Research Canada, a patient-oriented research center, she facilitated participatory and consumer-driven research projects. Jasmina is excited to be a part of a team that that applies and evaluates participatory action and patient-centered approaches to facilitate safe and respectful maternity care. Lynsey Hamilton leads strategic dissemination and implementation activities for the Birth Place Lab. She facilitates multidisciplinary research and knowledge translation projects in Canada and the United States, generated by the Home Birth Summits, and supports grant writing and reporting. Lynsey gained her Master’s in Public Health Research at the University of Edinburgh and has worked in health care research since moving to Canada shortly after. She has an extensive background in qualitative research and knowledge translation strategies and experience working with a variety of different populations. Lynsey has a strong interest in participatory action research and autonomy within the health care system. Pandora has gained 20 plus years of midwifery experience working in a wide variety of healthcare settings in the USA, Caribbean, South East Asia, the Middle East and Africa. She functions as a Midwifery Capacity Building Consultant for European and US governmental agencies Specializing in low resources and conflict/fragile settings. She obtained a BSN and induction into Sigma Theta Tau Nursing Honor Society of Nursing from John Hopkins University, a MSc in Nursing from the University of California Los Angeles, and a Doctorate of Nursing Practice from University of Alabama at Birmingham. She is a Fellow of the American College of Nurse Midwives and serves as the national governmental affairs committee liaison for southern states with additional active function on the ACNM GA legislative/state government affairs committee and the Georgia Perinatal Quality Collaborative. While in the US, she serves in socioeconomically diverse practices in the Atlanta Metro area. A recipient of the ACNM 2018 Distinguished Service Award, she has been recognized by the reproductive justice movement as a “Warrior Woman “and is known for encouraging midwives to “push for change past the perineum”. In her spare time, you will most often find Pandora with a book in her hand, and soca on the speakers. Amy Romano is Senior Vice President of Clinical Programs at Baby+Co., a multi-state network of maternity and wellness centers. In this role, she oversees design and implementation of the clinical care model, education and wellness programming, and quality management. Amy has been involved in maternity care system redesign for more than a decade, and is an author of several books, peer-reviewed articles, decision support tools, and clinical toolkits on this topic. Her areas of expertise include physiologic childbirth, patient activation and engagement, prenatal and preconception care models, implementing shared decision making, and integrating high-quality midwifery care and safe out-of-hospital birth options into the healthcare system. Lisa Kane Low PhD CNM FACNM FAAN is an Associate Dean for Practice and Professional Graduate Programs in the School of Nursing and Associate Professor in Women’s Studies and Department of OB/GYN at the University of Michigan. She completed her doctoral studies and an NIH BIRCWH post-doctoral fellowship in interdisciplinary women’s health research, also at the University of Michigan. She brings her more than thirty years of midwifery clinical practice experience to the research questions she asks about labor care practices, with an emphasis on evidence based practices to promote physiologic birth and optimal health outcomes for childbearing families. Her many publications have focused on shared decision making in maternity care and promotion of evidence based practices during second stage labor and safe reduction of primary cesarean births. Lisa is the immediate past president of the ACNM and former Chair of the Division of Standards and Practice, which included a role in developing standard setting documents. She has been a member of the Collaborative Taskforce which was formed after the initial Homebirth Summit which released the Best Practice Guidelines for Transfer from Home to the Hospital Setting. She has been a frequent presenter and advocate for optimizing transfer from planned homebirth to hospital policies and systems to assure families have the full range of options and services if a transfer is necessary. She has also been a participant in the development of national safety bundles focused on postpartum hemorrhage and reducing primary cesarean births for the National AIM program. Mary Lawlor has worked in maternity care since 1981, and is a clinician, birth center owner, policy advisor and organizational leader. She earned a BS from Georgetown University, her Associate in Midwifery in 1981 at The Maternity Center in El Paso, and an MA in Counseling from Lesley University in Boston in 1986. In addition to her homebirth practice of over 30 years, she is the owner and director of the Monadnock Birth Center in Swanzey, NH. She was active in successful legislative efforts to license midwives in both Vermont and New Hampshire, and has served as a Midwife Advisor to the Vermont Office of Professional Regulation since 2003, helping to oversee the practice of midwifery in the state.A founding board member, Mary served as President of the National Association of Certified Professional Midwives (NACPM) from 2003 until 2012, and currently is the Executive Director of NACPM. She serves as Policy Analyst to the Midwives and Mothers in Action (MAMA) Campaign, a national coalition of six midwifery-related organizations advocating in the U.S. Congress for increased access for women across the country to Certified Professional Midwife services and high-quality, high-value maternity care. Larry Leeman MD, MPH is Professor of Family and Community Medicine, and Obstetrics and Gynecology at the University of New Mexico School of Medicine. He is the director of UNM Family Medicine Maternal Child Health clinical service, co-medical director of University Hospital Mother Baby Unit and Level Two Nursery, and Medical Director for the Milagro Perinatal Substance Abuse program. He is the medical consultant for the Dar a Luz Birth Center in Albuquerque. As a faculty member at UNM he has worked for fifteen years as a consultant for home birth and birth center midwives and helped care for their clients who have required hospital transport. He was the physician member of the New Mexico State Licensed midwifery advisory board from 1993-1998. He has presented grand rounds for the UNM Ob/Gyn and Family Medicine Departments on Home Birth with a focus on facilitating improved collaboration from home to hospital. He was in rural practice with the Zuni Indian Ramah Indian Health Service from 1992-1998 where he was the Director of Maternity Care at a facility using a birth center model. He authored two articles addressing the safety of the birth center model and low cesarean rate achieved. He continues to work with Native American communities in New Mexico through providing clinical care and consultation services at the Cuba PMS clinic in Northwestern New Mexico and at the First Nations Urban Indian clinic in Albuquerque. He is the Managing Editor of the Advanced Life Support in Obstetrics course. He teaches ALSO each year on the Navajo reservation and helped with the introduction of ALSO into Ecuador, Guatemala, Honduras, Mexico, and China He received his medical degree from the University of California, San Francisco and an MPH in epidemiology from the University of California, Berkeley. He completed his residency in Family Medicine at the University of New Mexico and fellowship in Family Medicine Obstetrics at the University of Rochester. His research interests include maternal and neonatal outcomes of childbirth, rural maternity care, and family planning. Judith Lothian is an internationally respected childbirth educator and advocate for safe, healthy birth and breastfeeding. She is an associate professor in the College of Nursing at Seton Hall University in South Orange, New Jersey.She currently chairs the Certification Council for Lamaze International that is responsible for developing the international certification examination for Lamaze certified childbirth educators. She is also the Associate Editor of the Journal of Perinatal Education and writes a regular column for the JPE. Her advocacy work includes national leadership positions in Lamaze International and national work with Childbirth Connection, the American College of Nurse Midwives, and the Coalition for Improving Maternity Services. Co-author of The Official Lamaze Guide: Giving Birth with Confidence and a blog about normal birth at birthwithconfidence.blogs.lamaze.org. Research interests are breastfeeding and childbirth and she is currently completing a qualitative research study of the experience of home birth for women and their midwives. Jeanette McCulloch, IBCLC, is the co-founder of BirthSwell, spreading birth (and breastfeeding and MCH) genius, changing policy, and building businesses and organizations using strategic digital communications. With more than 20 years experience in communications and women’s health advocacy, she provides consultation to local, statewide, national, and international birth and breastfeeding organizations and small businesses. She has published research and spoken at national and international conferences on strategic social media, effectively reaching and engaging consumers, and health equity for birth and breastfeeding professionals. She is passionate about eliminating the impact of racism on birth and lactation outcomes and ensuring that all families have access to high-quality, culturally sensitive birth and lactation care. Jeanette unplugs with her partner, two children, and dog while splashing around in the gorges of her hometown, Ithaca, NY. Shafia M. Monroe, LM became a homebirth midwife in 1978, after learning of the high infant mortality rate in her hometown, Boston, MA. Since then she has worked to eliminate the high infant mortality rate for babies of color, through advocacy and policy. In 1991, she founded the International Center for Traditional Childbearing (ICTC), the first international non-profit to address the needs of black midwives, and increase the number of midwives, doulas and healers of color, to empower families to reduce infant and maternal mortality. In 2002, she witnessed the shortage of doulas of color, and developed a culturally specific doula training program built on the midwifery model of care and has trained over 1,500 doulas, with one-third continuing on to become midwives. Shafia created the International Black Midwives and Healers Conference, to meet the distinctive needs of midwives of color, to improve birth outcomes, support home birth, and build the profession. Her advocacy work includes the OR HB2666 committee for postpartum depression service, and the national Coalition for Quality Maternity Care. In 2011, she originated the legislative concept for OR HB3311, to investigate the use of doulas for vulnerable populations, resulting in Oregon being the first state for doula Medicaid reimbursement. A champion for public health, Shafia received her Master of Public Health in 2012, from Walden University. She has self-published and co-authored numerous papers and articles including, HB3311 (2011) Doula Report, presentation to the Health Committee of the Oregon Legislature, Reclaiming Childbirth, Sojourners Magazine and Into These Hands, Wisdom of Midwives. In 2014, she opened Shafia Monroe Consulting, a business to provide cultural competency training for health care providers and doulas who work with diverse populations in maternal and child health to improve pregnancy outcomes. Shafia’s work is recognized internationally, with the recent Life Time Achievement Award, Service in Community Health, 2014, Unsung Hero Award, Keeping the Dream Alive, 2013 and the Midwife Heroes Award, Midwives of Color/ACNM, 2012. Shafia is a wife, a mother of seven and a nana of ten; and she mentors hundreds of individual’s aspiring to midwifery and public health. Shafia loves to garden, write, ride horses and cook for family and friends. Catherine Ruhl is Director of Women’s Health Programs at the Association of Women’s Health, Obstetric and Neonatal Nurses (AWHONN) in Washington, DC. Catherine has 30 years of experience in maternal health as a clinician, manager and educator. She coordinates professional nursing education programming at AWHONN and represents AWHONN to a variety of national organizations including the National Maternal Health Initiative, the Center for Disease Control’s Select Panel on Preconception Care, and the HHS Maternal Immunization Working Group. Catherine’s portfolio at AWHONN includes work on diabetes in pregnancy, perinatal nurse staffing, obstetric triage, vaccination issues, and consumer education through AWHONN’s Healthy Mom & Baby consumer media. She obtained her Bachelors in Nursing from the University of Kansas and her Masters in Nursing from the University of Illinois at Chicago. Catherine has been a certified nurse-midwife for 25 years and currently practices at Providence Hospital in Washington, DC. She is clinical adjunct faculty for the Georgetown University nurse-midwifery program. Carol Sakala, PhD, MSPH, leads maternal health and maternity care programming at the National Partnership for Women & Families, a not-for-profit organization in Washington DC. She joined the organization in 2013 as Childbirth Connection joined forces with the National Partnership to integrate maternity care policy and quality into the National Partnership’s program portfolio. She is a long-time maternity care advocate, educator, researcher, author and policy analyst, with a continuous focus on meeting the needs and interests of childbearing women and their families. Carol sits on advisory bodies and work groups and comments on proposed policies, focusing on payment reform, performance measurement and other ways to improve maternity care quality and transform the maternity care system. She has been an investigator on all national Listening to Mothers surveys (2002-) and was Principal Investigator of the most recent Listening to Mothers in California Survey. She helps create or commission foundational resources for the field on such topics as the cost of having a baby, maternity care and liability, evidence-based maternity care, effectiveness of labor support, hormonal physiology of childbearing and performance of the nation’s maternity care system. She led the National Partnership’s recent convening and collaboration of 17 national leaders resulting in the consensus report, Blueprint for Advancing High-Value Maternity Care Through Physiologic Childbearing (2018). Through her guidance, the National Partnership maintains www.childbirthconnection.org, which features results of systematic reviews to support childbearing women in informed maternity care decision making and helps them navigate the maternity care system. Before coming to the National Partnership, Carol worked to advance evidence-based maternity care for 14 years as director of programs at Childbirth Connection. She was a Pew Health Policy fellow at Boston University, where she received her doctorate in health policy through the University Professors Program, and has master's degrees from the University of Utah and the University of Chicago. Cherisse Scott has worked as an educator, advocate and activist in Reproductive Justice for over 10 years. In 2011, Scott relocated back to Memphis, TN from Chicago and later that year founded SisterReach, currently, the only Reproductive Justice organization in the state of Tennessee. Under Ms. Scott’s leadership, SisterReach released their 2015 report on the need for comprehensive sexuality education for southern youth of color, rolled out their ProWoman Billboard campaign in opposition to anti-abortion billboards erected in Memphis targeting Black men, rolled out their state and nationally based clergy cohort which trains faith leaders on social justice issues, and presented to the United Nations regarding the impact of the fetal assault law on TN women. SisterReach most recently released their research report on the impact of the Fetal Assault Law on Marginalized Women in TN. SisterReach's work on the fetal assault law led to a victory of defeating HB 1660 which criminalized mothers struggling with drug addiction during the 2016 legislative session. Ms. Scott is the current chair of Memphis Teen Vision, was featured in NBCNews #31DaysofFeminism campaign and was a Rockwood Institute Fellow in 2016. Ms. Scott and the work of SisterReach is featured in the January 2018 edition of O Magazine, recognized by Essence Magazine as one of their 2018 Woke 100, and she is a sought out national speaker on reproductive justice and other human rights violations experienced by vulnerable Tennesseans. Tanya Khemet leads home birth advocacy for the International Center for Traditional Childbearing and is a member of the Home Birth Summit steering committee. She is co-founder of Birth and Family Health Center in Sacramento, California, an innovative multidisciplinary women’s health center. After receiving her midwifery training in Seattle, Washington at the Seattle School of Midwifery, she furthered her skills and life experience with apprenticeships in Senegal and Jamaica, where she learned another dimension of homebirth from an international lens. Prior to her work with Birth and Family Health Center, Tanya spent eight years coordinating obstetric, psychosocial and health education service delivery as a midwife and clinic administrator at the Birthing Project Clinic in Sacramento which serves low-income high risk women and teens. Tanya is the mother of three terrific daughters who were all born at home. International Board Certified Lactation Consultant and doula in private practice in New York City. She also serves as the Outreach Coordinator for the New York Milk Bank and trains childbirth educators with the NYC Lamaze Childbirth Educator Program. She is a past president of Lamaze International and currently serves on Lamaze’s Certification Council, and as a delegate to the United States Breastfeeding Committee where she is Chair of the Nominating Committee. Allison is a member of the New York City Breastfeeding Leadership Council and an active La Leche League Leader. Recently, she co-chaired the Save the Birthing Center Committee which was a group of professionals, advocates and consumers who fought valiantly but unsuccessfully to stop the closure of the Mount Sinai West (formerly Roosevelt) Birthing Center in New York City. Prior to the birth of her first child, Allison was a political consultant and community organizer. Skills from that “past life” are useful in all aspects of her work in the birth world. She is a graduate of Syracuse University and mother of three children, two of whom were born at home. Sandra Janoff, PhD co-developed the principle-based methodology called Future Search, a process used world-wide to get the “whole system” focusing on the future and creating values-based action strategies. Sandra has had the honor of working with the Birth community since 2011. She facilitated the Home Birth Summits and large gatherings with the midwifery community. Sandra’s work around the world on health-related initiatives includes: Finding a Future for the Children of Southern Sudan during the North/South Sudanese civil war, resulting in demobilizing 2500 child soldiers; Preventing Child Abuse in Schools in Uganda to address violent acts against children; Creating policy for 0 – 5 year child care with the U.S. Bipartisan Policy Center on The Future of Working Families: How We Care for our Children; Strengthening the Patient Voice in Delivering Together with the Department of Health in Northern Ireland. Others initiatives include: Building an integrated initiative to address AIDS for young men at risk in NY; Reducing poverty in children with American Baptist Ministry; and Building a healthy community to reconnect to traditional values in Ko’olau Loa District, a rural community in Oahu, Hawaii. Sandra is Director of Future Search Network. She is co-author of Future Search: An Action Guide to Finding Common Ground (Berrett-Koehler, 3rd ed, 2010), Don’t Just Do Something, Stand There! Ten Principles for Leading Meetings that Matter (Berrett-Koehler, 2007) and Lead More, Control Less (Berrett-Koehler, 2015). Sandra was honored with the OD Network’s 2016 Lifetime Achievement Award. Michele A. Woods, Ed.M. is a successful organization development professional. She has an extensive work history that includes using research-based approaches to enhance human, community and business development. Throughout her career, Michele has engaged in research and development activities focused on closing the achievement gap, developing common ground to achieve collaborative action, and supporting an organization creating to do what’s best for investors. An overarching theme during her work life has been to make contributions at an individual, community or corporate level that add value and make a difference. Michele’s focus on Future Search began as part of her work with the Philadelphia Organization Development Network. She was among the first group training in the Future Search principles by Marvin Weisbord and Sandra Janoff. Later she became one of the founding members of Future Search Network. She had run Future Searches with the University of Michigan, Community Connections in Philadelphia, INOVA Health Systems in Virginia and the Centers for Disease Control. Michele has a B.S. in education and an Ed.M. in Adult Learning and Organization Development. Currently she is continuing her passion for learning through Princeton University’s Community Auditing Program and the Smithsonian Travel Program.